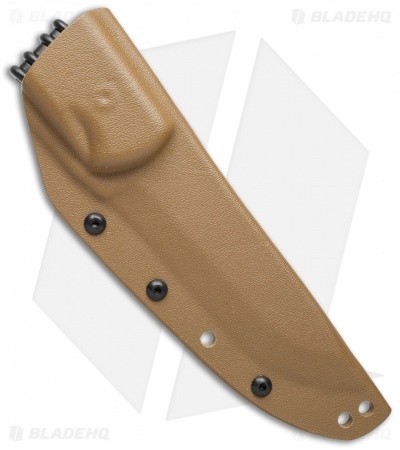 This formed tan Kydex sheath from Armory Plastics fits TOPS Knives BOB Fieldcraft fixed blade models with a Micarta handle*. 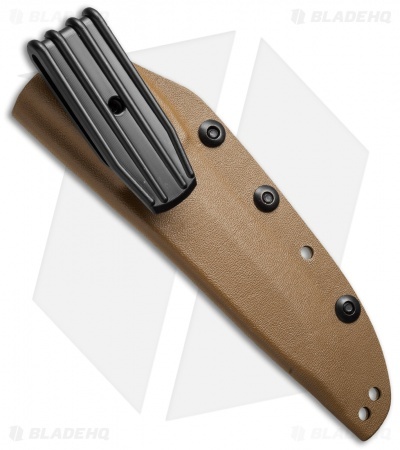 It includes their AB Nylon clip for belt carry. *G-10 models of the BOB Fieldcraft have a thinner handle thickness, so this sheath is not compatible with those models.